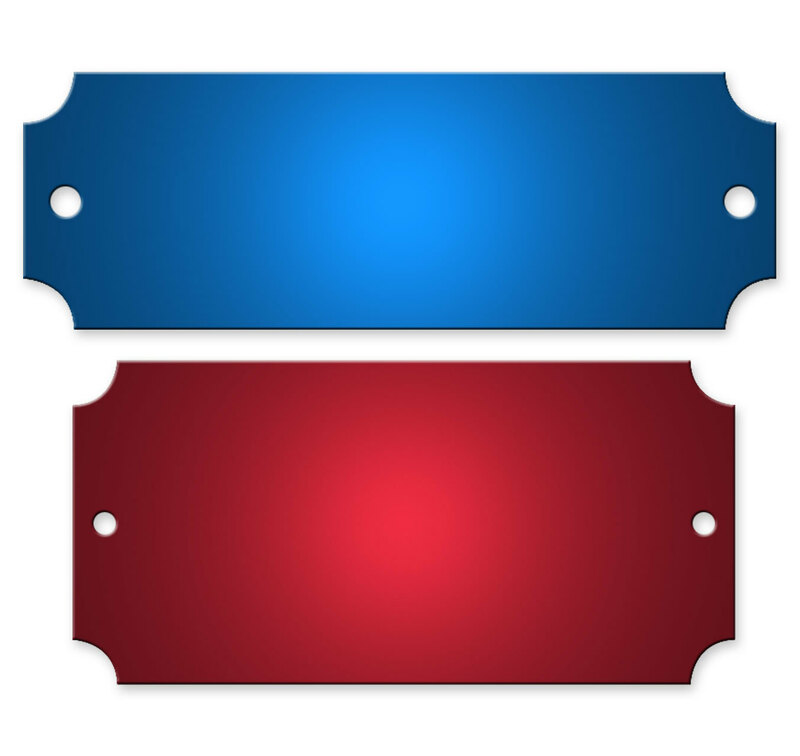 Blank, colored aluminum tags are color-coated (enameled) on one side for easy identification, color-coding and more. Ready to be engraved and show through the natural aluminum color under the enamel. Or use with your own stamping machine. Great for use indoors where corrosion is not an issue. 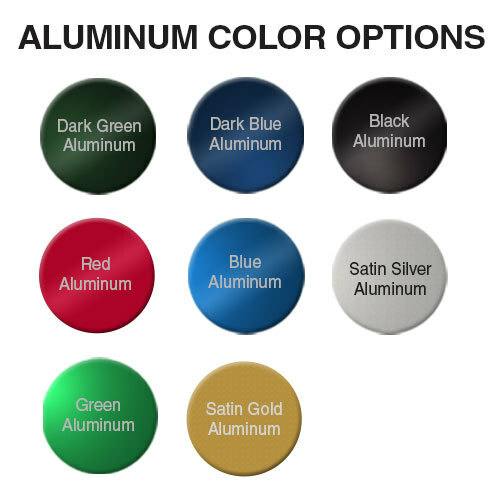 These colored aluminum tags are perfect for more decorative purposes, such as trophies, artwork, furniture, or anywhere you need a permanent, decorative label. For outdoor use or harsh environments, we recommend anodized aluminum tags. 2 sizes: 2-1/2" x 7/8" and 2-1/2" x 1-1/4"